Genuine OEM Dell Toner Cartridge, Black, 700 page yield. 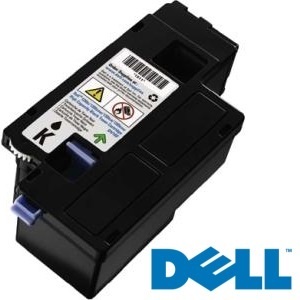 Dell part number: 331-0722, 4R4G5, XKP2P. Laser Toner Cartridge compatible with Dell 1250c, 1350cnw, 1355cn, 1755, C1760nw, C1765nfw.